Below is our interview with Hannah Krug, an astronomer turned high-school STEM educator. If you have questions, suggestions, advice to share, etc. about this career path, please leave a comment below. 2015 was the most remarkable year for social justice and equity in science and society that I can remember over more than 50 years. I was a child during the civil rights era of the 1960s and recall my wonder at the marches and protests of those days, the social upheaval, and the juxtaposition of hope and sorrow. The last two years have brought a similar sense of wonder, and as I reflected on this year, I realized that so much has happened the only historical comparison I have is with the events of my childhood. For women, men, and gender-nonconforming people in astronomy and in society, the remarkable pace, breadth and depth of change this year is worth remarking on in these pages. 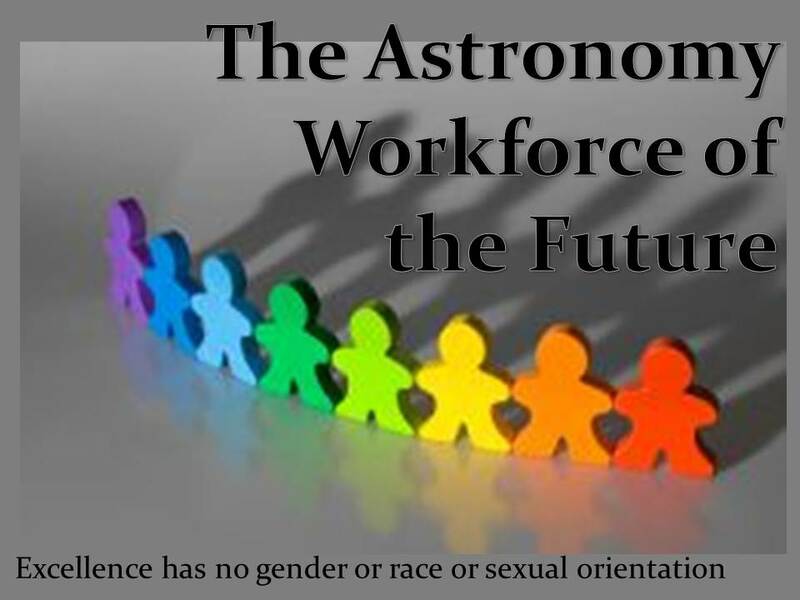 AAS President Meg Urry summarized much of the 2015 gender equity in astronomy experience in a recent column. 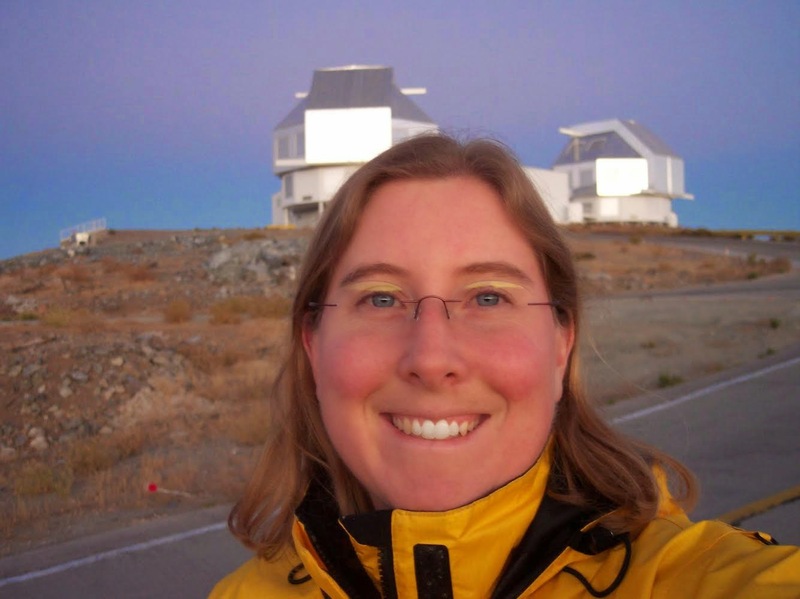 As one of the organizers of the first Women in Astronomy meeting in Baltimore and coauthor of the Baltimore Charter, and now as AAS President, Meg has set the standard for impact as a scientist and leader. Her perspectives on what has been accomplished, and on what remains to be done, should be read by every scientist and engineer, in every field. 2015 was the year that sexual harassment in astronomy finally became something spoken about boldly in public rather than nervously in private. Geoff Marcy's resignation from UC Berkeley has put not only harassers, but the universities that employ them, on notice that the scientific community will not accept sexual harassment. The CSWA, especially its former chair Joan Schmelz, have played a major service in helping bring to light such harassment. However, this is not a time to celebrate the end of harassment, it is a time to continue rooting out predatory and discriminatory behavior from astronomy and other professions. 2015 was also a year for the advancement of not just heterosexual cisgender women, but lesbian and transgender women. The US Supreme Court's ruling in favor of marriage equality in Obergefell v. Hodges was a remarkable step forward for our nation. The first laws protecting gay marriage were passed and upheld only about a decade ago in Massachusetts; few of us expected such rapid acceptance by law and culture. Transgender rights still are not fully covered, but the coming out of Caitlyn Jenner has done much to advance the conversation. Although these events are not directly about astronomy, they affect the experience of people in astronomy, and raise the standards for our profession to be inclusive and welcoming of all people. The Inclusive Astronomy conference was a major step forward in advancing the concept of full inclusion in the scientific profession. In hindsight it is possible to see this as a pioneering conference just like the inaugural Women in Astronomy conference of 1992. And let us recognize the power of social media and protest in furthering human rights, not merely in the developing world, but in the most developed nations. In 2015, many of us at colleges and universities in the US have witnessed the power of the #BlackLivesMatter movement and its spinoff demands to eliminate racism on our campuses. This year, the native Hawiian movement has halted construction of the Thirty Meter Telescope on Mauna Kea. These movements go beyond gender equality, but they surely impact women and men in astronomy, and provide a remarkable legacy from which others will look back in 50 years.
. She was one of the five original organizers of the first “Women in Astronomy” meeting in Baltimore, was coauthor of the “Baltimore Charter” and persuaded the AAS council to endorse the charter’s goals. She also organized the second of these meetings in Pasadena in 2003. - See more at: http://physics.yale.edu/news/meg-urry-israel-munson-professor-physics-astronomy-was-awarded-2012-george-van-biesbroeck-prize#sthash.Z24rDs5s. This post is part of a series discussing the recent NASA Discovery Program mission selections for further refinement. From the 27 proposals submitted in November of 2014, NASA has selected 5 missions for further refinement in the next year. Part 1 of the series focused on the overview of the Discovery refinement selections and an interview with the Lead Program Scientist for the Discovery Program, Dr. Michael New. Part II focussed on the Psyche Mission (PI: Linda Elkins-Tanton, Arizona State University, Managed by JPL). Part III will focus on the NEOCam Mission (PI: Amy Mainzer, Jet Propulsion Laboratory, Managed by JPL). Part IV will focus on the Lucy Mission (PI: Hal Levison, Southwest Research Institute, Managed by NASA Goddard Space Flight Center). Lucy is a survey of the Trojan asteroids. Because of their location near Jupiter's orbit, Trojans are a unique resource for deciphering the history of the outer Solar System, which includes the formation of the giant planets and Kuiper belt, planet migration, and delivery of volatiles to the terrestrial planets. Theories predict that these objects formed throughout the outer planetary system and were captured in their current orbits as the planets grew and moved around. This is evidenced by the fact that we see three distinctly different types of objects in the Trojan swarms. Thus, in order to truly understand what these objects are telling us about the history of the Solar System, we must survey this diversity - Lucy is designed to do just that. 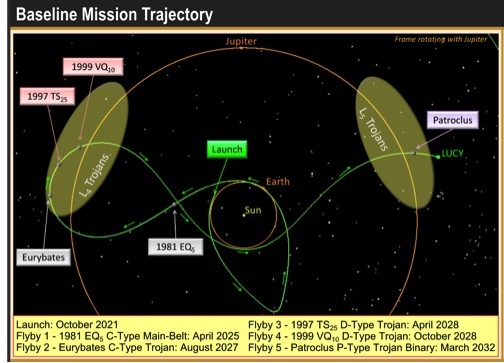 Lucy will flyby at least 4, and probably 5, Trojans covering all the known spectral types in both the L4 and L5 swarms. It will visit the largest member of a catastrophic collisional family, thereby supplying vital clues about accretional process. It will also study a near-equal mass binary, which may be a rare survivor from the first generation of planetesimals. Lucy's payload includes a high resolution panchromatic camera (based on New Horrizon's LORRI), a color imager and NIR spectroscopic mapper (based on New Horrizon's Ralph), and Thermal IR spectrometer (based on OSIRIS-REx's OTES). The 2010 report entitled, Why So Few? Women in Science, Technology, Engineering, and Mathematics, by the American Association of University Women (AAUW), finds that women continue to experience more overt discrimination, as well as the more unconscious bias, in science and engineering. Research by Dr. Madeline Heilman at New York University shows that women in so-called masculine jobs or nontraditional fields, which includes science and engineering, often find themselves in a double bind. First, women in these “masculine” jobs are often judged to be less competent than their male peers, unless the women are clearly successful in their work. But when a woman is clearly competent in a “male” job or position, she is often judged to be less likable. Because both likability and competence are needed for success in the workplace, women in STEM fields can find themselves in a double bind. Therefore, the implications of these findings are enormous. Being seen as either less competent or less likable can affect relationships with peers, evaluations, and recommendations for promotion and salary increases. The below is a guest contribution from a regular reader of our blog who wishes to remain anonymous. It's been almost 12 years since I last drank alcohol. At this point most of my friends and colleagues have never seen me drink. 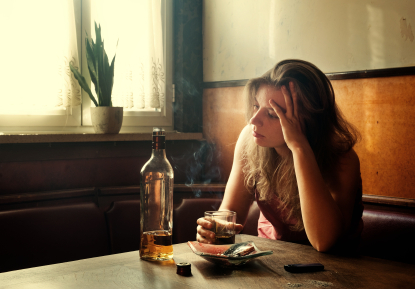 When I first stopped drinking (probably because it was such a behavior change and I was in my early twenties) people asked me all the time why I wasn't drinking. These days, most people don't really seem to notice or care. But every once in a while, someone asks me why I'm not drinking. When they ask, I usually say one of the following (all of which are true): I don't like the way it affects me; I'm on a medication which conflicts with alcohol; alcoholism runs in my family; I just don't feel like drinking tonight. But sometimes (depending on my mood and how close I am with the person) I say the more honest answer: I used to drink and it was a problem. I find it easier to not drink at all than try to control my drinking. Anyone can be an alcoholic, even a PhD astronomer. 3. What Will It Take to Achieve Gender Equality in Leadership? This post, by Meg Urry (President of the AAS) was originally posted by the American Astronomical Society. I am writing about an issue of concern to the American Astronomical Society (AAS), namely, graduate admissions. In January, the AAS Council will discuss and vote on whether to issue a statement on behalf of the Society (appended at the end of this letter) that makes a case for why the Graduate Record Exam (GRE) and the Physics GRE (PGRE) should be optional; or, if they are used, why there should be no fixed cutoff score; and why the demographics of the applicants may need to be taken into account explicitly. I write in advance of that action because the season of graduate admissions is upon us. I hope you will read this letter and draft statement and circulate it to your graduate admissions committee. If you have any comments or concerns, I hope you will send them to me and/or council@aas.org. 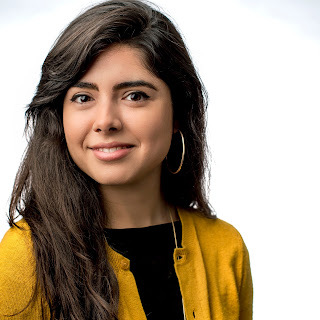 Today's guest post is by Nicole Cabrera Salazar. 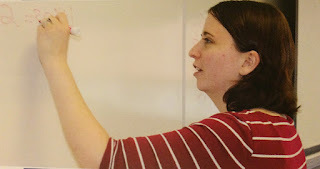 Nicole is an NSF Graduate Research Fellow at Georgia State University. She plans to pursue a career in science communication/outreach focusing on equity in STEM. About a month ago, I got sick with a simple cold. I was in the middle of writing the third chapter of my dissertation and had just taken time off to get over another cold two weeks before. I was also behind on the timeline to defend my thesis next year, and more delays didn’t seem like the best idea. So I did what any other grad student in my position would: I tried to power through. Ten days later, my cold was still going strong. I was worried because I had been waking up with panic attacks in the middle of the night for no apparent reason, hyperventilating and shaking uncontrollably. Sick, sleep deprived, and anxious, I gave in and went to the doctor. I burst into tears as soon as she came into the room. This post is part of a series discussing the recent NASA Discovery Program mission selections for further refinement. From the 27 proposals submitted in November of 2014, NASA has selected 5 missions for further refinement in the next year. Part 1 of the series focused on the overview of the Discovery refinement selections and an interview with the Lead Program Scientist for the Discovery Program, Dr. Michael New. Part II focussed on the Psyche Mission (PI: Linda Elkins-Tanton, Arizona State University, Managed by JPL). Part III will focus on the NEOCam Mission (PI: Amy Mainzer, Jet Propulsion Laboratory, Managed by JPL). 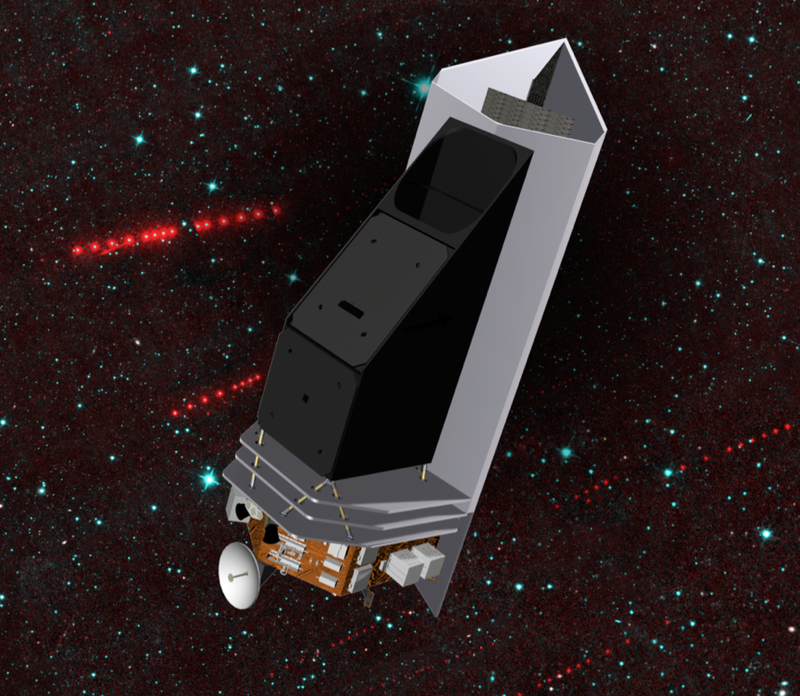 The Near-Earth Object Camera (NEOCam) mission will permit the most comprehensive inventory ever made of our solar system’s small bodies (asteroids and comets) using a space-based infrared survey telescope. NEOCam will detect millions of asteroids, enabling unprecedented understanding of their origins, evolution, and physical properties, and significantly reducing the risk of an unwarned impact on the Earth. NEOCam will detect approximately ten times more near-Earth objects (NEOs) than are known today, making significant progress toward the direction given to NASA by the U.S. Congress to discover more than 90% of near-Earth objects large enough to cause significant regional damage.